Totally in love with the gorgeous French script canvas I stumbled upon this summer and combined with cast aside leather and other goodies to make handbags. 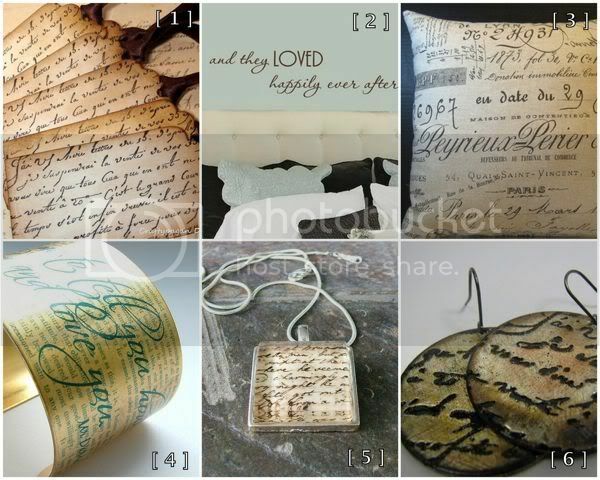 It made me wonder what the creative artists on Etsy have been doing with script. I hope you enjoy what I've found. I'm thrilled to report that Sophie, a.k.a. that camera hog, is doing very well after her surgery. We will still have to wait for the test results, but after a foggy couple of days, we're beginning to see the old, sweet Sophie. She's loving her collar. Can't you see it in her eyes? My favorite is #2...Poor Sophie! 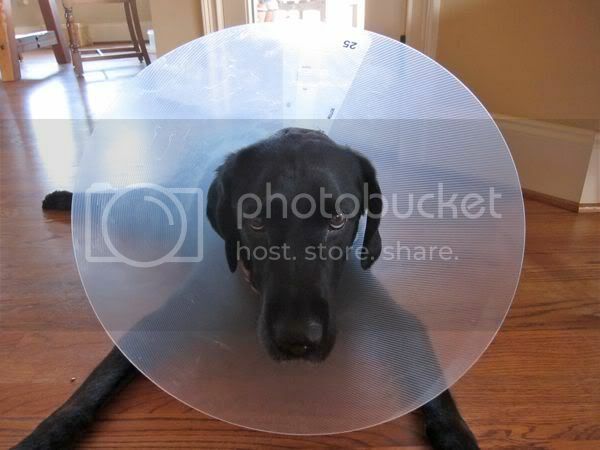 Our dogs have always Hated the E collar and have had major depression while having to endure. Hope to hear a good report from the Vet. The sweet nothing earrings are my favorite. Come on Sophie give us a smile. I have a thing for fonts and always have...I love seeing it in so many designs. Oh poor sweet Sophie, her eyes tell it all. I hope all will be well. speaking of script fonts, do you care to share the script font you used in your blog header? i love it! Cutie doggie! My cat just became collar-free yesterday after wearing one for four weeks. He is no longer ashamed and embarrassed. He is running around ruling the house now.